Our aim is to ensure that the Pre-School is a constantly developing community of children, staff and parents. We are committed to providing a happy, safe and secure environment in which each child can develop at his/her own pace. Parents/Guardians are expected to give their support and encouragement to the aims of the Pre-School. These terms and conditions relate to the contract between the Pre-School and the Parent/Guardian. Children will be considered for entry to the Pre-School when a completed Registration Form has been returned to the Pre-school with the registration fee of £25. This is a non-returnable fee. When your child’s place is confirmed the days attending will remain the same and can only be changed with agreement by the Supervisor and dependent on availability. Acceptance of a place is on the basis that changes may be made from time to time to these standard terms and conditions, to the level of fees and to the curriculum and services. Notice of any change will be given as soon as practicable but on occasions it will be less than one month. 9:00am to 12:00 Friday – Rising 5’s session only. We are open for for 38 weeks of the year spread over six terms. We are closed over half terms, Christmas, Easter and Summer holidays, and for all Bank holidays. Afternoon sessions are from 12.00pm – 3.00pm. We are neither registered nor insured outside these times. Parents must collect by 12.00pm if attending in the Morning session or by 3.00 pm if attending the Afternoon sessions. The Pre-school reserves the right to charge parents who are continually late collecting their children. If you know you are going to be late, please can you arrange for somebody else to collect your child and telephone the Pre-School to inform us of who will be collecting, along with a description and password, so that the staff are aware of who to expect. Parents must inform the Pre-School if the child has a known medical condition or health problem or has been in contact with infectious diseases. The child must not be brought to the Pre-School if he/she is unwell. In Loco Parentis: The parents authorise the Pre-School to act in loco parentis in all respects. Parents/Guardians consent to the use of such physical contact with children as may be lawful, appropriate and proper for teaching and to provide comfort to the child in distress or to maintain safety and good order. Parents/Guardians consent to emergency medical treatment including surgery and /or general anaesthetic, if certified necessary by a doctor and if Parents/Guardians cannot be contacted in time. You will be invoiced on a termly basis and these should be settled by the end of the first week of each term. If fees remain outstanding after this time, the Pre-school will reserve the right to add a £20.00 charge for late payments. If the fees are still outstanding and no attempts have been made to settle the account the Pre-school reserves the right to terminate the contract. Such items will be recoverable by action if necessary by our Debt collection agency. Fees may be paid weekly, only with prior arrangement, and the re-payment schedule must be adhered to, otherwise we reserve the right to demand immediate payment in full. An additional £20 late payment fee may also be added. Fees cover the normal curriculum and include morning and afternoon snacks. Parents need to provide a nutritious packed lunch or pay for school lunch. Nappies, wipes and barrier creams are to be provided by the parent. Fees will not be refunded or waived for absence through sickness or holidays or for any other cause. In the event of a Parent/Guardian withdrawing a child immediately the Parent/Guardian shall still be due to pay two weeks’ fee’s in lieu of notice. Sheepsetting Pre-School reserves the right to terminate a child’s place with immediate effect if a serious breach of these terms and conditions occurs or if the termination of a place is considered by Sheepsetting Pre-School, in its absolute discretion, to be in the best interests of the Pre-School and/or the continuing welfare of the other children at the Pre-school. There would be no refund of fees in these circumstances, fees in lieu of notice would not be charged. Persons acting in a suspicious manner, under the influence of drugs or alcohol, or displaying offending or aggressive behaviour will be removed from the Pre-school property and dealt with accordingly. 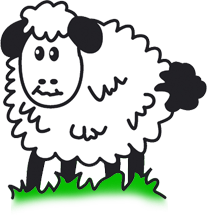 Any parent, who displays any of the characteristics detailed above, may result in their child’s place at Sheepsetting Pre-School being terminated, with immediate effect. Parents/carers are discouraged from asking staff to baby-sit outside pre-school hours. If the weather becomes severe or causes us to have concern for the welfare of the children or staff, we will call and ask for parents to collect their child from the Pre-school. No refund will be made in this event. We would like to ensure your child is happy and settled, however sometimes children need parents/carers to help with this transition and you would be expected to stay in such circumstances. We accept no responsibility for any loss suffered by parents, arising directly or indirectly, as a result of the Pre-School being temporarily closed or the non-admittance of your child to the Pre-School for any reason, this applies to absence due to sickness, holidays and Bank Holidays. We accept no responsibility for children whilst in their parents care on Pre-School premises, i.e. prior to arrival or after pick up. We will not be liable to parents and/or children for any economic loss of any kind, for damage to the child’s or parents property, for any loss resulting from a claim made by any third party or for any special, indirect or consequential loss or damage of any kind. We will make reasonable endeavours to keep parents and / or children’s property in good order. Liability for damage of such property is excluded except where caused by our negligence. The Pre-School undertakes to maintain those insurances which are prescribed by law. All other insurance is the responsibility of the parent. It is also the Parents/ Guardians responsibility to ensure that all children’s clothes are labelled and that no items of value are taken into the Pre-School. No responsibility will be accepted for the loss or damage of items. Parents/Guardians who have cause for concern must inform the Supervisor without delay. Any waiver of these terms and conditions is only effective if given in writing by or on behalf of the Chairperson.